Have you ever read a book and wondered why you read it? Have you ever wondered how an author could come up with such an improbable plot? Have you lost a whole day because you wanted to find out how a book ends? 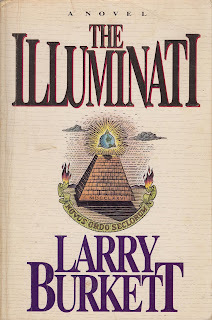 I had all of these questions as I read The Illuminati by Larry Burkett. First, I must reiterate, this book is a novel, a work of fiction or as the author says, "As best I know, I have a gift for teaching, a talent for writing, and no prophetic abilities beyond that of any other Christian." 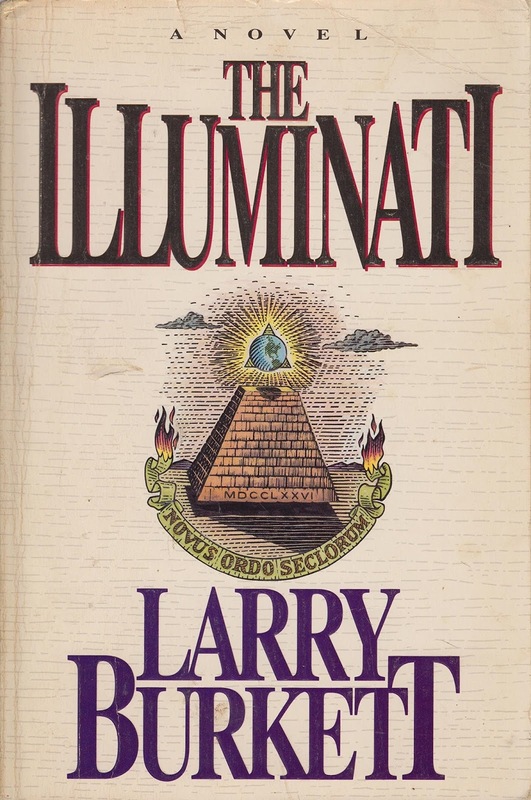 The Illuminati is based on a rumored secret society that is as old as time, that has infiltrated its way into governments with the sole purpose of ruling the world. Divide and conquer is the oldest plot and yet it works like a charm every time. The Great Leader of the Society, who seems to be based on the Antichrist mentioned in the Bible - pits nations against nations, Christians against Jews, the religious right against everyone else, democrats against liberals. Wherever there was an opportunity for division it was exploited. Only one person can foil the schemes of the Great Leader and it's a computer genius named Jeff Wells. Jeff is the most brilliant person who can take the most complex thoughts and simplify them. He can predict weather patterns and build a one world computer system that only he can control! There are hints but only hints of truth, with lots of fiction. There are many characters, so initially, it's hard to keep track of all the players and their roles. There is violence and bloodshed - but it's not graphic and there's the slightest hint of romance. Once you get into this book, it's hard to put down. On a scale of 1 to 5 stars, I rate it 3.5. Wow it sound interesting I never got into reading about it just because I didn’t want to interrupt my spirit with he demonic ways of these ppl. I’m glad you said it like this it made me look at it in a different way.